I first met Sally Lane at the Stylist Live event which was held in London last year. Being the magpie that I am, I was quickly drawn to her stunning gold and silver jewellery. We got chatting and I was impressed to discover that she left a high flying job to pursue her passion for making jewellery. Sally had been taking jewellery courses over a 10 year period while she worked her 9 to 5 job, so she had gained a lot of experience which enabled her to launch her own brand. 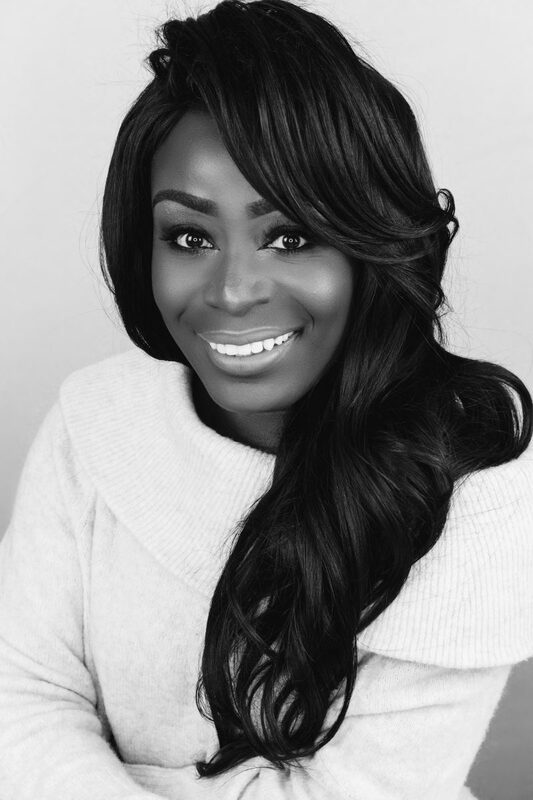 Sally Lane Jewellery was founded in 2015 and famous women such as Alesha Dixon, Alek Wek, Nicole Sherzinger, and Kimberly Wyatt have been seen wearing pieces from this amazing brand. This achievement is no surprise because I recently got the chance to to wear some of Sally’s beautiful jewellery while we chatted over a coffee. Her jewellery is stunning!!!! The pieces were so striking and unique, and I could really feel the quality of them as I tried them on. I love that Sally’s jewellery can be worn from day to night, and considering the quality of her pieces they truly are an affordable luxury. She uses the symbol of a triangle which is elegant and stands out from traditional feminine jewellery which often uses circular symbols. What I admired the most about Sally is that her company aims to empower women to live lives that they love. She also believes that females can be successful while supporting others at the same time – this is music to my ears! Please check out her jewellery on her website and follow her on Instagram, Facebook and Twitter. Keep scrolling down to read my interview with Sally and be inspired by this incredible woman! MSA: I’m very interested to know when your love for jewellery started? SALLY: My love for jewellery probably started when I was bought my first piece of valuable jewellery by a family friend. It was a gold dolphin ring. The real passion for jewellery design came from visiting markets when I was on holiday as a kid. I loved the chunky silver jewellery and larger organic stones that you could get in different countries, I never saw anything like this in the UK (only hearts and flowers) and I always bought jewellery as my souvenir. It is only more recently that edgier and bold statement jewellery has come to the forefront in the UK. It was my desire to create a collection that was bold but also understated. Still classy and elegant, but it showed character behind the wearer. MSA: What type of work where you doing before starting this business, and what prompted you leave it? SALLY: I worked in digital marketing and then advertising technology for 12 years, and for 10 of the years I had a blast, learnt invaluable business skills and met some amazing people. I just suddenly felt that I wasn’t learning anymore. That I was sleepwalking through life somewhat, progressing only in title or salary, but not rich experiences that were teaching me anything new. In the end, it was a very stressful period of work, where I was due to be relocating to NY (chasing those rich experiences), when I realised I was letting myself in for another two years of very stressful work, which still wasn’t anything new…just more of it. My fiancé helped me see that backing out was the right thing to do, however hard it may seem to lose the dream of living in NY and doing a complete about turn, when we had already had a huge leaving party with our friends! They had already hired my replacement in Europe, and it was the perfect cue to take a break from the industry completely and focus on my business full time. MSA: Well done for having the courage to let go of a ‘secure’ job! I think a lot of people fear pursuing their dreams because staying in a secure, well paying job is somewhat comfortable or because they feel that others expect this of them. Please tell me what steps you took in order to launch Sally Lane Jewellery? SALLY: Such small baby steps that I would be here forever. I was talking about this the other day with another business owner…you just start doing what you can, when you can, and slowly it all comes together. For me I had to present a collection at the end of my jewellery diploma and as part of that I had been building the brand and logo. I can’t even remember now at what point I decided to make it a business, I just remember thinking, this is actually pretty good, and it’s different, I’m going to try and sell it and see what happens. I spent several months working on my brand and what I wanted it to stand for. My first big step was booking a model, photographer and make-up artist for my first shoot so that I had content. Over a further few months, I wrote all the product names, meanings and site copy and with this and the new images I built my website and started social and paid ads. In 2016, I was contacted by a Jewellery PR Specialist who had seen my stuff and I decided to invest in that. We got some great coverage early on, and it built from there. MSA: I read on your website that you studied counselling for 2 years. What led you to do this and how does it help you in your current business? SALLY: It was at a stage in my career (again) where I didn’t feel that I was learning anything but at that point I just had to ‘do my time’ to progress, so I decided to look at studying again. Someone I admired had done the course and fallen in love and was training to do this full time and change career, and since I had always felt people naturally opened up to me, I wanted to explore this as a career change for me, too. The first year was very much focused on who you are; understanding why you do things (so you can eliminate your own thoughts and feelings when speaking with clients and truly put yourself in their shoes). I found this first year to be life changing. It enabled me to eradicate any stress that I have might have felt from other people’s behaviour, because I understood it wasn’t anything to do with me. It’s crazy that we don’t get taught this from primary school as I’m sure it would get rid of many problems. Anyway, it has massively helped me in business, mainly to be a better manager and leader. In my own business, it helps every day. To have the power of mind to understand why things are happening, to know my weaknesses and plan around them, and to better work with others in any partnership. I want to share this essence of inner strength and wellbeing through my work and so this is why every piece has a positive message behind it. To try and change the stories we tell ourselves about what we can and can’t do. MSA: WOW! That’s so cool that you spent time gaining counselling skills. I agree with you that we could benefit from more self-awareness and learning how to communicate better with others. What’s it like knowing that celebrities such as Alesha Dixon, Alek Wek, and Nicole Sherzinger wear your jewellery? SALLY: Fantastic. One has to deal with lots of rejection and set-backs, so these validations give you a huge boost. You know that it isn’t just you who thinks that your designs are exciting. Me wearing Sally Lane Jewellery – Love IT!!! SALLY: No. Certainly not. I am very much at the beginning of my journey and it is a full-time job to keep increasing and maintaining awareness about the brand. MSA: I’m very curious to know what a week in your life looks like? Also, how do you achieve a good work-life balance? SALLY: Tasks in the week include social media marketing, content for my blog, working on new designs, wholesale prospecting, running a pop-up – all sorts! I’m more of a night owl, so I tend to sleep later than I previously did. It is important to cherish all the things you wished for when you had to work a corporate job and being able to wake naturally was something I craved every single day of my working life!! This is also true of seeing my friends and family, so I try to see make the most of the fact that it is something I can now do in the week, too. When I wake I tend to potter around a bit, do some yoga and settle down to work at 12. Then I work as late as I need depending on what I need to do. Sometimes I can still finish at 5pm, sometimes I work until 3am. I don’t tend to like leaving tasks half-finished so would rather power through on a late one, while I’m in the zone, and catch up on sleep the next morning. 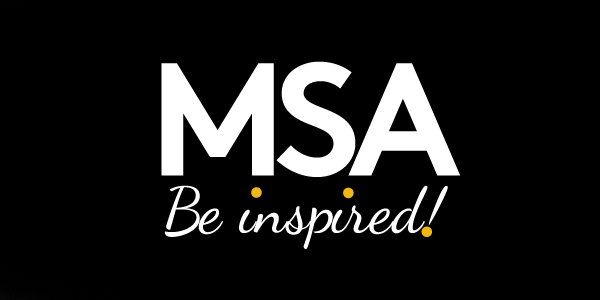 MSA: Being in control of your schedule is the wonderful part of owning your own company. I know that a lot of people will envy the fact that you get to wake up naturally. Please share the biggest lesson you’ve learnt from starting Sally Lane Jewellery? SALLY: How important it is to be present in the every day. It is so easy to sleepwalk through life sometimes, and I have been so grateful to have the space to really think about what is important and do more of those things. That there are plenty of things that bring you more fulfilment than lots of money. MSA: That’s a great point. We are often taught to pursue the career that will bring in lots of money at the expense of true fulfilment. But I believe that if you’re passionate about something and work hard at it then success will follow. What’s been the biggest reward or ‘high’ point on your journey as an entrepreneur? SALLY: I was truly honoured to speak at the Facebook Women in Media event in November. I knew that wasn’t something I’d be asked to do if I hadn’t taken a risk and put myself out there. It was a theme about ‘Disrupting Yourself’ and I was overwhelmed with lovely messages afterwards and that was a real high. MSA: What would you say to someone who has a passion but is scared to pursue it? SALLY: Make a list of the worst things that could happen and then make a plan of action for those scenarios. I found my list pretty much boiled down to, that if it all went wrong, I would have to return to work. Given my skill set I have much to offer, and I was lucky enough to really enjoy my industry when I felt challenged. I would have the time to choose that role, and hopefully still make it contract or part-time work so I could keep funding my business as well. You will tend to find that the ‘worst things’ are really not that bad, and as long as you accept that they may be a reality, and have a plan B, then you have nothing to lose. The entrepreneurial experience has given me more joy than I could have imagined and if I return to work in the digital marketing industry, I have added skills there is no way I would have obtained through staying in my last role. I also have a better work-life balance and, now knowing how much happier that has made me, I would choose more carefully to maintain it. MSA: I think I’m going to take your advice and make an action plan for worst case scenarios – that’s brilliant, and I think it would help me to have a plan that addresses every fear so that I am not paralysed by them. So, what’s next for Sally Lane Jewellery? SALLY: Currently I am working on some exciting collaborations – one of the things that I absolutely love about my new life is making so many new connections. I have found collaborations to be a great way to gain new audiences and it’s always amazing to work with other talented designers. MSA: Thank you so much Sally for your time and I hope to see your jewellery in Vogue magazine one day. Anna Wintour, are you listening?? Wow, what an inspiring interview! There are so many things that I admire about Sally: I love the fact that she continued to build skills in jewellery making and counselling while working full time; I think it’s awesome that she realised that a stressful, high paying job in New York wasn’t going to bring her more fulfilment; and, I applaud the fact that she followed her love for jewellery and had the courage to set up her own business.